It was a busy week in the Medicare Fraud business. Two Michigan men, one a patient recruiter and the other a physical therapist, were convicted as part of an investigation into a $1.6 million Medicare fraud scheme. The patient recruiter, 54 year-old Reginald Smith, from Flint, was convicted on two counts, conspiracy to commit health care fraud and conspiracy to solicit and receive health care kickbacks. The 30 year-old physical therapist, Rajan Patel, from Clinton Township, was found guilty of one count of conspiracy to commit health care fraud, three counts of health care fraud, and three counts of making false statements relating to health care matters. Smith signed up people at adult foster care homes for medically unnecessary footcare servies that Patel fulfilled. Patel falsified documents to make it appear the patients qualified for home services, Smith ran a nonprofit Medicare provider, People Helping People of Detroit, and the kickbacks were disguised as payments to the nonprofit. A Psychotherapy Clinic owner waa more ambitious than Smith and Patel. He directed a $3.3 million psychotherapy fraud scheme. Gerald R. Funderburg Jr., 35, used the Medicare information and identities of hundreds of Medicare beneficiaries without their consent to submit claims for psychotherapy services that were not actually provided. He obtained the information by requesting the data using the personal information of licensed social workers. In this week’s most ambitious scheme, two Miami residents were convicted of taking part in a $62 million mental health treatment fraud scheme. Smith and Patel are to be sentenced next month. Funderberg was sentenced to 87 months in prison and Ruiz and Fonts each were sentenced to 72 months. 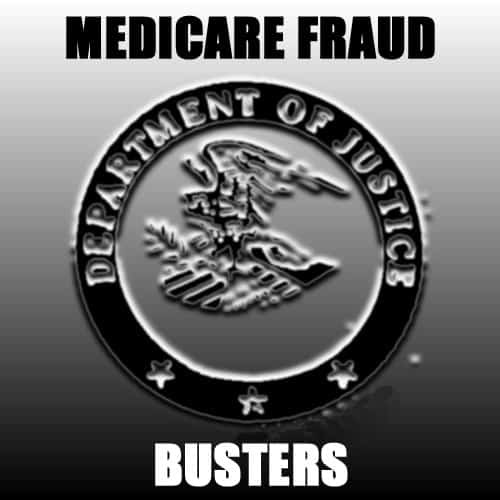 The Medicare Fraud Strike Force prosecuted these cases. It operates in nine cities across the US, and has charged almost 2,100 defendants who collectively billed the Medicare program for more than $6.5 billion.